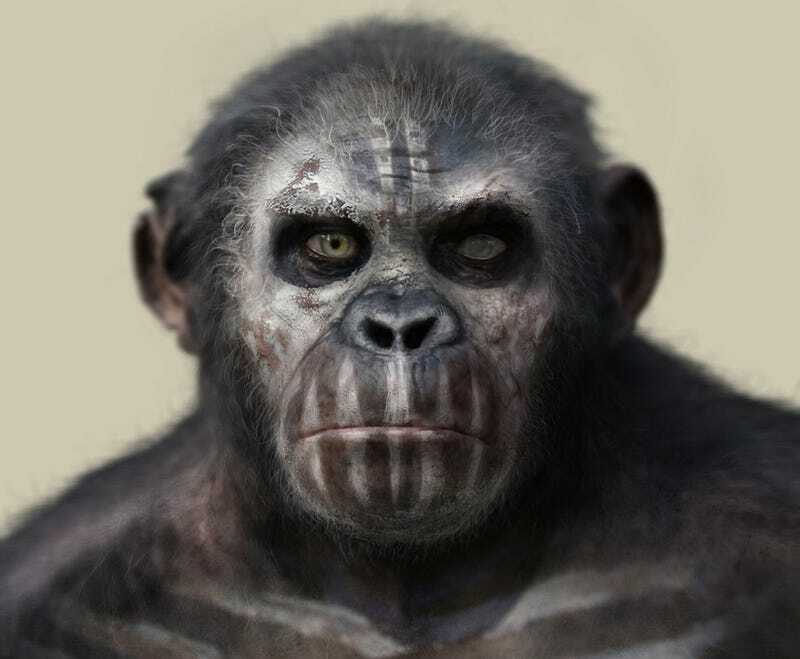 Stunning portraits and concept art of apes in their ceremonial attire from Dawn of the Planet of the Apes. The artwork was created by The Aaron Sims Company who already worked on Rise of the Planet of the Apes and other movies like The Transformers. ASC worked closely with Weta on both films to design all of the main and ancillary ape characters from the ground up. In the Rise of the Planet of the Apes, they sculpted a bust for Caesar to ensure a hyper-realistic feel. In Dawn of the Planet of the Apes, ASC worked on aging the apes and creating the apes' ceremonial look, which includes face paint and other ornamentation taken from nature.